In the spring and the fall, cold fronts blow in and tussle with the warm humid air. We hear about it when the thunder starts to boom in the distance and flashes of lightning spark the sky. 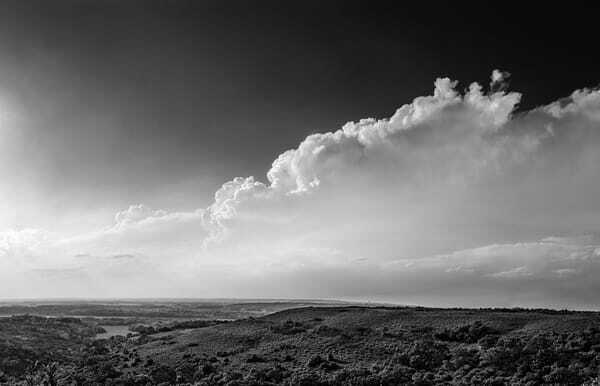 Black and white images honor the billowing clouds with delicate highlights and darkening shadows. There’s nothing quite like a good storm. Put one of these images on your wall and enjoy its storm in perfect safety.